The Perfect Automated Time System for your Small Business! High End technology at a very affordable price. Help to eliminate buddy punching. Complete Package Includes: XLS BIO terminal, CT-101 software, 25’ RS232 communication cable, 5' Ethernet communication cable, mounting bracket, hardware, instructions, and AC power supply. - Shift Rule allows In and Out Revision Zone to control unauthorized overtime, punch rounding and automatic lunch deduction. Control unauthorized overtime by not calculating time before and after defined shift times. A supervisor can override a revision zone at any time on a case by case basis. Round punches to a quarter hour with flexible break points. You can be as strict or lenient as you want and round in punches different than out punches. In addition, you can specify 2 exempt zones during which time punches are not rounded. Automatically deduct lunch based on continuous hours worked with the ability to set a larger deduction for longer shifts. Qualify breaks based on duration to be paid or unpaid. You can also enforce a minimum deduction for employees that punch out for less time that required. Set custom overtime levels for employees that are subject to different levels than the rest of the company. This feature also allows you to apply overtime rates to an entire day, such as all Sunday hours are overtime. 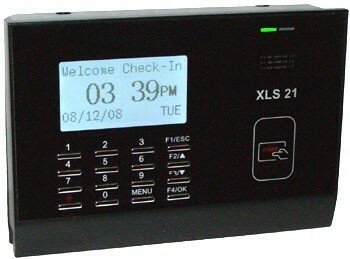 Each shift can have times defined to determine if an employee arrived early, arrived late, left early or left late. In addition, the enhanced report will flag all early/late punches and provide a count of occurrences for each item. Track expected versus actual hours for each shift to help identify wasted labor hours. Multi-Use License: Install the CT-101 Software on multiple computers and share the date. Setup multiple user names and passwords to track which user made punch corrections. Assign user rights to restrict access to features such as wages or punch editing. Code Collection: Collect a user entered code at the terminal. You define the codes, ranging from 1-9 digits (8 digits max with the HandPunch clock). Codes can be used to track departments, jobs, etc. Detail and summary reports are available and can be filtered by code number. 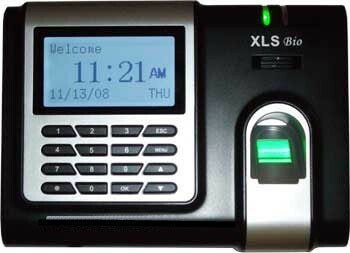 HandPunch Communication Module: Required to communicate qith a Biometric HandPunch time clock. Extended Software Support: 1 year software support agreement includes unlimited phone and email support. XLS bio Accessories: USB Flash Drive (1GB) with communication cable. Designed by Canadian Web Creations.